The seaside city of Dili appeals to seafarers, beach bums and backpackers for its lazy tropical setting. The most famous beach in this part of East Timor is Jesus Backside Beach at the eastern side of the capital. One can trek to the peak and stand next to the Jesus statue that faces opposite the bright blue Banda Sea. Tourist will be taking a well-marked path on Cape Fatucama, getting a view of 14 grottoes along the way. A small path will lead to Jesus Backside Beach which is often deserted. It is quite peaceful and remarkably untouched. There are no bathrooms, shops or lifesavers around except a handful of beach goers enjoying the warm ocean. 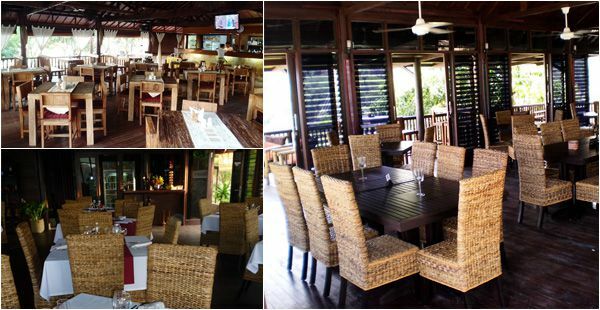 Aside from frolicking under the sun in the idyllic beaches of Dili, it is also a spectacular diving and snorkelling venue. The reef around the entire north coast of East Timor has been attracting many deep sea adventurers and sea lovers. It is also a popular diving site for PADI scuba diving course takers. Day trips around Atauro Island are offered and they include two dives for around $150 per person. The boat’s captain will provide a fresh catch and cook it for the passengers. Another type of nature trip is climbing the highest peak of East Timor. On the way to the mountain is 3-hour trek through the forest. The hike trail is brimming with aromatic eucalyptus trees and on some parts potato farms and rice plantations can be seen. Mountaineers spend the night on a camp site near the peak and get up really early the next day to reach the top for a stunning sunrise view. Pack up for a breakfast picnic with a breath-taking view 3000 meters above the sea. 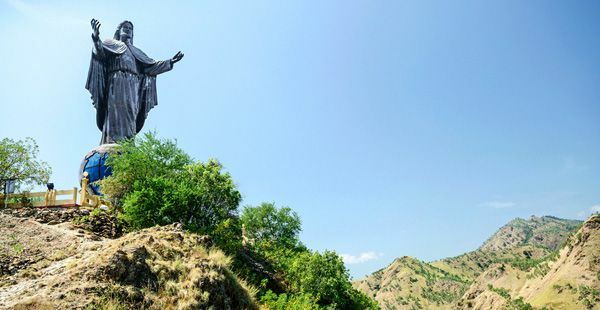 East Timor is predominantly Catholic country so don’t be surprised to find a statue of the Virgin Mary on the summit. Just walking along Dili’s roads and the beach is already a wonderful experience. Dili is the core of the colonial times therefore Portuguese architecture can be marvelled at in the parks and plazas. Fresh seafood abound in the area and they’re displayed on small stalls across the beach front. For more of the natural attractions in East Timor, there are educational eco-tours that will take tourists west in Balibo and Maliana, up to the mountains of Ailue and the Maubisse resort. The entire tour is $200 for a two-day trip.